This week at Carriageworks Redfern, Director Baz Luhrmann began an eight week intensive rehearsal period for “Strictly Ballroom The Musical”, the inspiring story of a championship ballroom dancer who defies all the rules to follow his heart. This brand new theatrical production will be brought to the stage by the original creative team behind the classic 1992 film, including director and co-writer Baz Luhrmann, set and costume designer Catherine Martin, choreographer John “Cha Cha” O’Connell and co-writer Craig Pearce. Chosen from an audition process that lasted eight months and involved close to 600 auditionees, newcomers Thomas Lacey and Phoebe Panaretos will play the roles of Scott Hastings and Fran. Thomas and Phoebe will be joined by principal performers Heather Mitchell, Drew Forsythe, Mark Owen-Taylor, Robert Grubb, Bob Baines, Fernando Mira and Natalie Gamsu plus the entire 43 member multi-talented cast. “Strictly Ballroom The Musical” will commence previews at Sydney’s Lyric Theatre on Tuesday 25 March 2014, with the official World Premiere tangoing and sashaying onto the world’s stage on Saturday 12 April 2014. Darlinghurst Theatre Company will begin their 2014 season at the Eternity Playhouse with the Tony Award winning musical drama “Falsettos”, opening on 11 February and previews from 7 February. Presented in association with the 2014 Sydney Gay and Lesbian Mardi Gras, “Falsettos” is a quirky yet tender tale about a family, growing up and what it means to be a man. Marvin has left his wife and son for a male lover. Meanwhile, his ex-wife Trina ends up with the family psychiatrist. Amongst this there’s a Bar Mitzvah to organise. Wickedly funny lyrics accompany a live piano score in this touching musical about the original modern family. Directed by renowned theatre director Stephen Colyer, who has assembled a dream cast including Tamlyn Henderson, Katrina Retallick, Stephen Anderson, Ben Hall, Margi de Ferranti, Elise McCann, Anthony Garcia and Isaac Shaw. 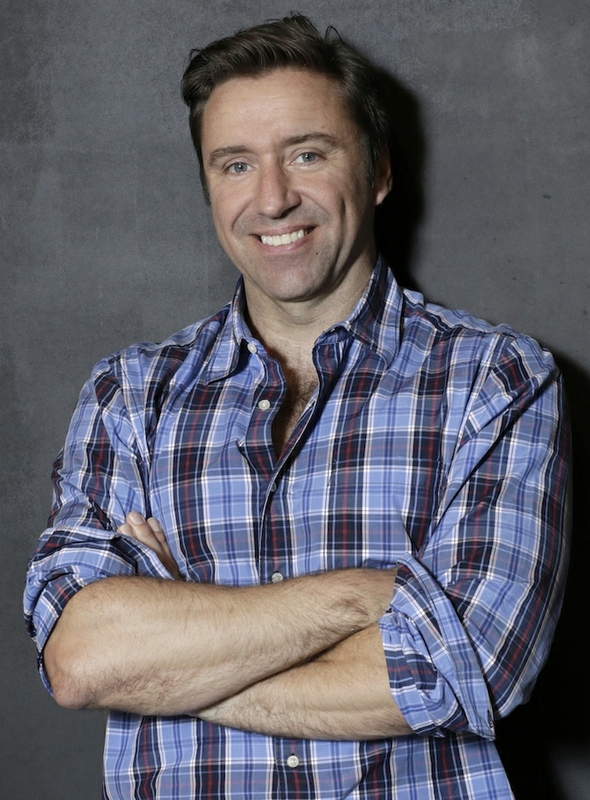 Stephen commented “Each of them has been firmly established as a versatile, dynamic star of the Australian stage capable of the unique blend of pathos and comedy that “Falsettos” demands”. With music and lyrics by William Finn and book by Finn & James Lapine, “Falsettos” premiered on Broadway in 1992. 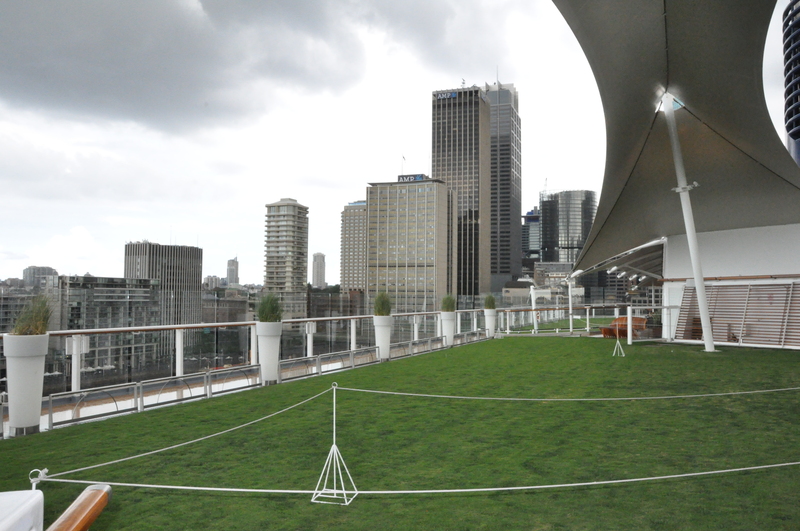 At the Lawn Club, a park like space with real grass on the top deck of the luxurious “Celebrity Solstice” berthed in Sydney this week, I attended the announcement of a partnership between Qantas and Cruise Guru which will launch Qantas into the fast growing cruise market. Cruise Guru, part of the Travel the World Pty Ltd group of companies, is a specialist cruise website that began operation in January 2012, offering a one stop shop for Australian cruise customers. Being 100% Australian owned and operated, Cruise Guru provides consumers with the best prices and most up to date deals with the convenience of full live online booking for major cruise lines. Qantas customers can now book cruises online through Qantas.com using the technology of Cruise Choice, powered by Cruise Guru. Unique to Qantas Cruises is the ability for customers to access a full range of cruise lines and ships, with live cabin availability and prices plus instant confirmation. Cruise Choice allows the consumer to book their cruise online 24/7 with up to the minute live pricing and availability. With 17 international cruise lines, 162 ships and over 10,000 cruise itineraries, the consumer will be in control of their cruise holiday from start to finish, having the ability to choose the latest specials and prices, cabin type, cabin number and confirm their cruise without delays. 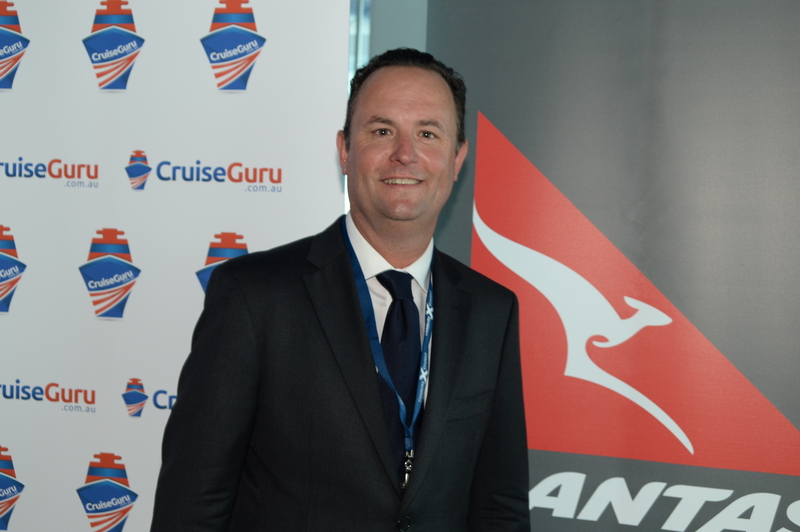 Cruise Guru Joint Managing Director, Justin Montgomery, said he was thrilled to be able to use Cruise Guru’s unique technology to create new opportunities and services for the growing number of Australians choosing to holiday by cruise. An added bonus with the partnership between Qantas and Cruise Guru means that all Qantas Frequent Flyer members will receive Qantas Frequent Flyer points for their bookings. 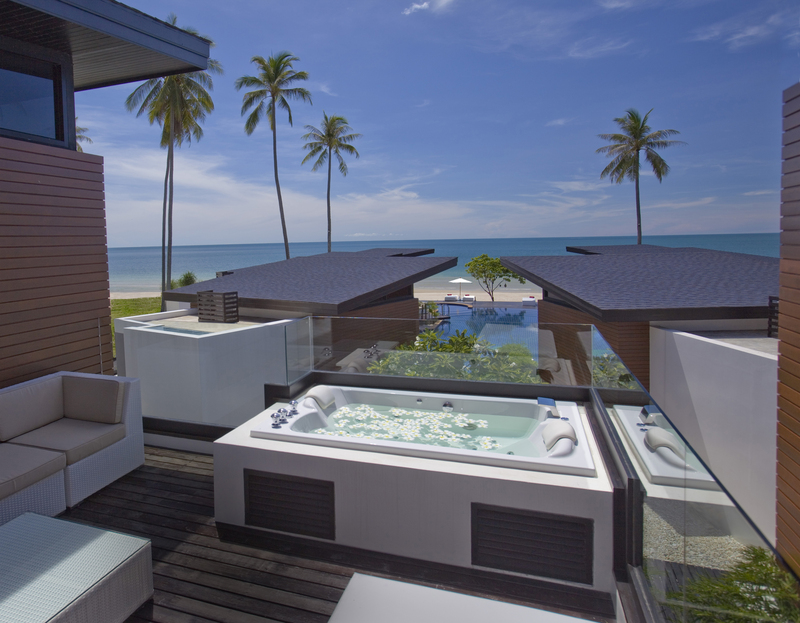 Relaxation, adventure and rejuvenation are just some of the reasons to visit Aava Resort & Spa, a stunning property situated on Nadan Beach, a 9 kilometre stretch of pristine golden sands lapping clear blue waters in Khanom, in the South-East of Thailand. Aava Resort & Spa is Scandinavian owned with top Finnish design. The owners, originally from Finland, whom I recently met when they visited Sydney, found this enchanting location while backpacking in Thailand over a decade ago and decided this was the place they wanted to build a resort and spend the rest of their lives. The resort’s Scandinavian influences can be seen in the unique architecture and design, created by Finland’s top designers. Guest bungalows and villas are set in attractive gardens or overlooking and having direct access to the pool area and boasting magnificent sea views. Khanom is famous for its rare pink dolphins, which are protected in their idyllic living environment. The resort arranges boat tours taking guests to meet these exquisite creatures as they roam freely in sheltered surrounds, something not to be missed. Activities available without having to venture far into and beyond Khanom, include shopping at traditional markets, snorkelling, beach barbecues, fishing, golf, trekking in national parks, exploring intriguing caves, foot therapy at a fish spa, visits to temples and a puppet house as well as full day tours to Koh Samui. Aava Spa is built to respect ancient Thai traditions of architecture as well as spa treatments, giving maximum relaxation and healthiness to mind, body and soul, both during and after the holiday. The Spa’s menu of treatments ranges from a 30 minute Thai massage to therapeutic pampering packages. Featuring treatments utilising organic products plus an array of other wellness activities including Yoga, Thai Chi, Pilates, meditation, jungle and waterfall hikes and Thai boxing training, the Spa should prove very popular with guests. Their yoga and wellness retreats are hosted by leading world instructors throughout the year. The resort presents a family-friendly atmosphere with a Kids club offering great activities for the young ones and complimentary babysitting provided throughout the day and into the late evening. Aava Spa Aalto restaurant offers innovative Euro-Asian fusion cuisine at their romantic beach setting, with beach barbecues held each Friday. Aava Pizzeria & Bakery is a charming little restaurant providing traditional wood fire oven pizzas and freshly baked breads and pastries. 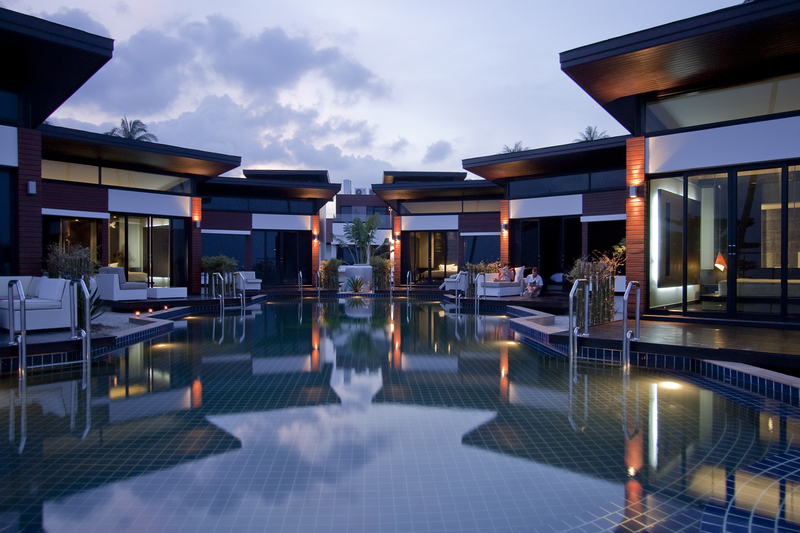 Aava Resort & Spa combines traditional Thai friendliness and family values with Scandinavian quality and elegance. Their values have evolved from the idea of serving their guests with traditional Thai friendliness without compromising high European standards. The Resort can arrange guest transfers to and from Koh Samui, Phuket, Krabi, Surat Thani or Nakhon Sri Thammarat Airports. Guests who book direct with the resort and stay a minimum five nights receive complimentary return transfers from Surat Thani or Nakhon Si Thammarat Airports. “Tracks”, the true story of Robyn Davidson’s 2,700km solo trek from Alice Springs to the Indian Ocean opened this year’s St. George Openair Cinema. This annual event is one of the highlights of the Sydney summer and equally enjoyed by locals and visitors, especially those from overseas. Located on the waterfront adjacent to the Royal Botanic Gardens near Mrs Macquaries Chair, this would have to be the best outdoor setting in the world to see a movie. Doors open at 6.15pm, giving patrons time to enjoy a pre-movie dinner, either from the on-site caterers or bring a picnic and sit on the lawn. Wine, beer and coffee are available for purchase on site. The big screen, that’s actually on the water, goes up just as the sun is setting with the Opera House and the city buildings in the background. The seating is quite comfortable with individual plastic chairs on a terraced platform with good sightlines. The movie usually begins at 8.30 pm. Most of the new release movies are shown only once during the season which runs each evening until 15 February. I saw Tom Hanks in “Captain Phillips” the night I went and thoroughly enjoyed the experience of watching a movie under the stars. Sydney theatre lovers are in for a unique experience with “Empire” now playing in the magnificent 700 seat antique Spiegeltent, complete with mirrored pillars and coloured cut glass windows, at the Entertainment Quarter, Moore Park. 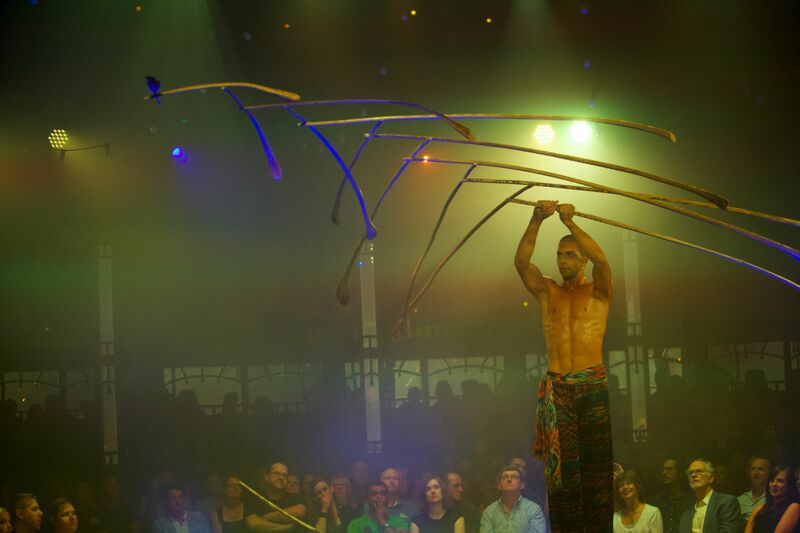 Everyone gets a perfect view of the acts performing in the centre of the tent. Seating options available are raised booths around the walls of the Spiegeltent, with each comfortable booth providing seating for six on padded seats arranged round a table or alternatively, individual wooden chairs in the main body of the tent. Suspended in a clear perspex bubble above the stage where she contorts, spins, and hangs upside-down, Miss A In A Bubble, performed a magical opening to the show. Oscar and his wife Fanny, the hosts of the show, had everyone laughing during their performance of a hilarious quick change costume routine. They were followed by three beautiful women, known as the Gorilla Girls, who form perfect pyramids by balancing on top of each other in increasingly unlikely positions. Many other talented performers kept us entertained during the evening, but the standout act was the 3D Graffiti Guy who created a self-supporting structure balanced entirely on a single feather. “Empire” smashes the boundaries of circus, cabaret, vaudeville and burlesque, reinventing the genres for a 21st century audience. Featuring the sexiest, most daring artists from across the globe, the show had its world premiere season in New York City during the summer of 2012, where it was the first tented show ever seen in Times Square. 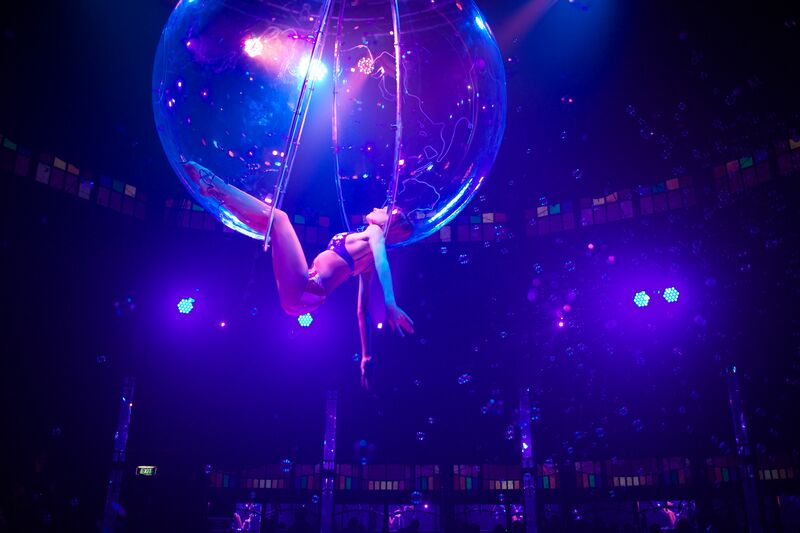 Spiegelworld is also currently presenting Absinthe on the forecourt of Caesar’s Palace in Las Vegas, where it has played for almost three sold out years and has been extended through to 2016. Performance Schedule: Tuesday & Wednesday 7.30pm Thursday, Friday & Saturday 7.30pm & 9.30pm Sunday 7.00pm. Puccini’s “La bohème” has opened Opera Australia’s 2014 Summer Season at Sydney Opera House. Two dazzling new productions plus three classics make up the Sydney Summer Season of Opera which promises a healthy mix of laughter and tears, where comedy stands alongside tales of love and betrayal. Joining “La bohème” in this exciting program of popular operas on offer over January, February and March are Mozart’s “The Magic Flute”, Rossini’s “The Turk in Italy”, Bizet’s “Carmen” and Tchaikovsky’s “Eugene Onegin”. Gale Edwards’ cabaret styled production of Puccini’s most popular opera, “La bohème”, transports the poet Rodolfo and the young seamstress Mimì from the Latin Quarter of 1830s Paris to early 1930s Berlin, a time of political and social shifts during the final days of the Weimar Republic. 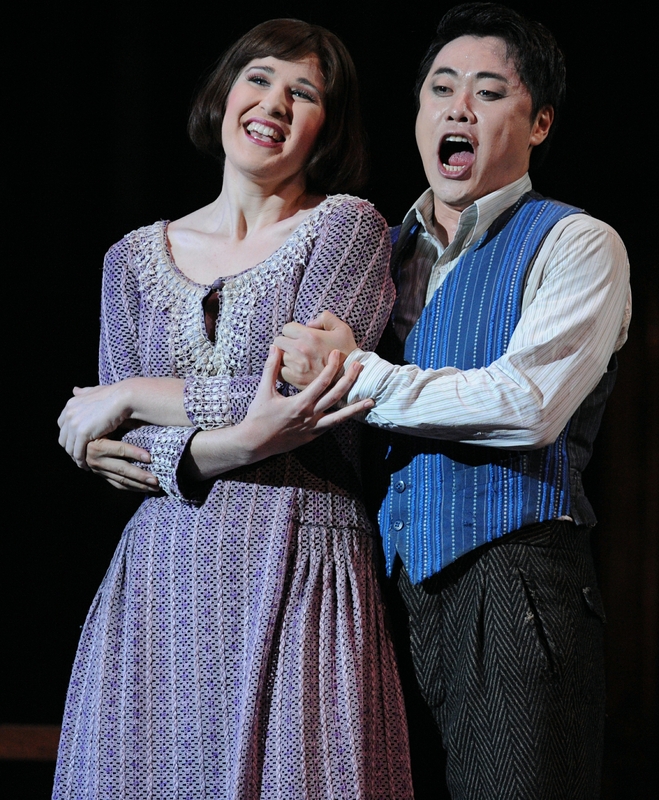 Leading the stunning cast are Nicole Car as Mimì and tenor Ji-Min Park as Rodolfo. Mozart’s “The Magic Flute” returns with Julie Taymor’s production of spellbinding costumes, puppets and effects plus a nine metre serpent, towering polar bears and hundreds of props. This production, with its many matinee performances, is ideal for families. Simon Phillips’ take on Rossini’s “The Turk in Italy” brings two long lost lovers, a quarrelling couple and a secret lover, a masquerade ball, the seashore with 1950s bikinis, dancing, deceit and confusion together in this irreverent comedy. The fiery femme fatale returns in Francesco Zambello’s production of Bizet’s “Carmen”. She’s wild, seductive, irresistible and always at the centre of any trouble. Hearts are broken and it all ends in true tragic opera style amidst a flurry of passion, lust and longing. Finishing off the season is Tchaikovsky’s romantic tragedy “Eugene Onegin”, Opera Australia’s first co-production with The Royal Opera House, Covent Garden. Set in St Petersburg in the early 19th century and having one of the most beautiful scores in opera, “Eugene Onegin” is an exploration of what might have been. After rejecting a young admirer, Onegin is unaware the decision will determine his life’s course, with the fallout affecting those around him, leading to an unnecessary and fateful duel with his closest friend. You are currently browsing the SANDRATBLOG.COM blog archives for January, 2014.